A large, long-tailed starling, this species has the heavy body and powerful legs typical of a myna. 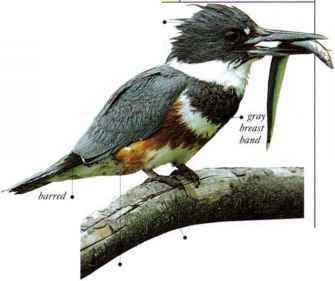 Its wings are broad and round, and its (light is direct and level. The long tail assists balance in level flight, and helps the bird to maneuver among the branches in its rain forest habitat. Large, noisy flocks move in partly nomadic fashion through the forests in search of fruiting trees. Birds generally forage in the middle height of the foliage. The White-necked Myna feeds mainly on fruit but also uses its thick, blunt bill to deal with a wide range of other foods. 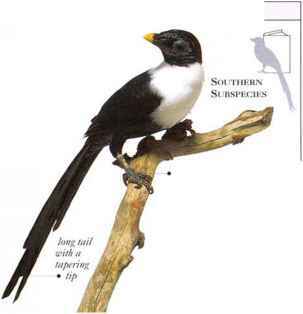 Within its range, this species is common in all types of tropical forest but is most numerous in lowland areas. • NliST Unknown, but similar species of myna nest in tree holes. • Distribution The island of Sulawesi. Indonesia.